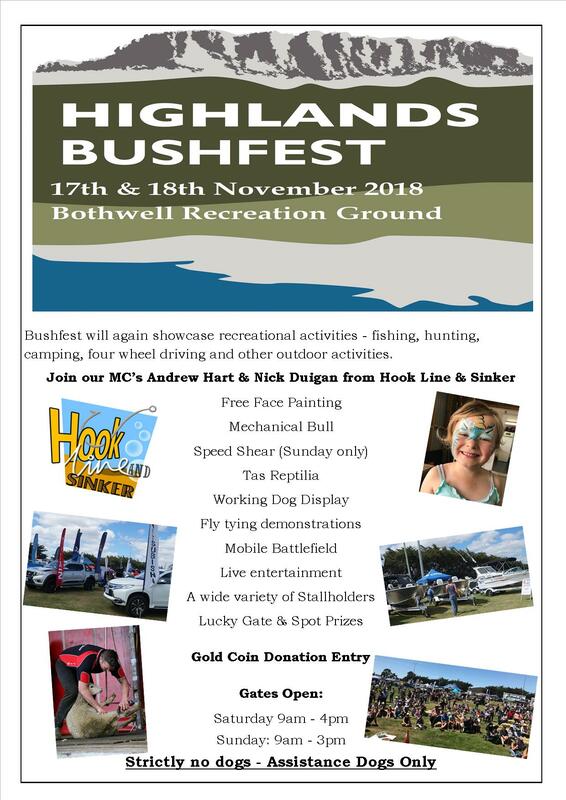 Central Highlands Council is holding its annual Highlands Bushfest in November 2018. Bushfest will again feature unique outdoor pursuits of the region – fishing, hunting, camping and other recreational and adventure activities. There will also be available sites for catering stalls and sites for showcasing produce, arts and crafts. 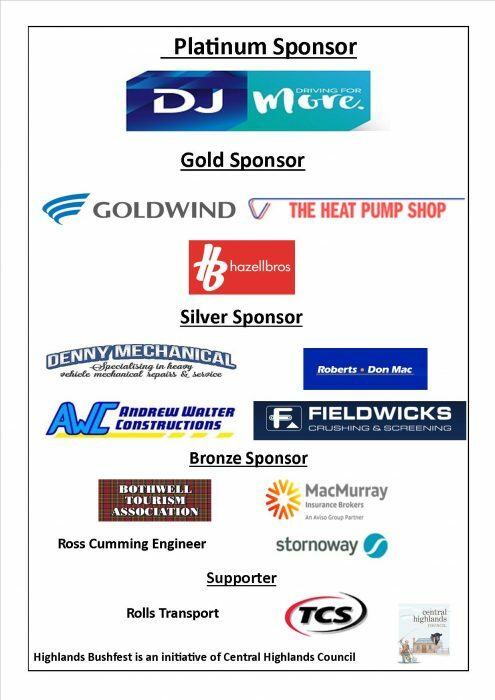 Central Highlands Council wish to thank our sponsors for their support as without them Bushfest would not be possible.